The largest city and also the capital of Nepal, Kathmandu acts as a gateway to most of the attractions here. Situated in the heart of the Himalayas at about 4600 ft. this city is a deserving subject of songs. Home to numerous Hindu and Buddhist temples like Swayambhu a historic Buddhist site with its multitude of monkeys and Pashupatinath Hindu temple which is a Unesco Word Heritage site. Don’t forget to visit the Asan Tole, a large open market and sip tea there like the song suggests. One can buy anything from coconuts to from yak tails there. A religiously significant site to most Buddhists, Lumbini is the birthplace of Buddha who lived there between roughly 623 and 543 BCE. Another UNESCO World Heritage sites in Nepal where the holy site of the Mayadevi Temple and numerous ruins of ancient monasteries can be visited. The site can only be bordered by monasteries and no commercial interests such as hotels and restaurants can be built near it. I have a special place for all the pagodas in my heart after I completed vipasanna and lived in one for 10 days on a vow of silence. It’s a refuge of peace and tranquillity. Apart from this, Pokhara is also known as the gateway to the basecamp Anapurna, this city is within 30 miles of 3 of the world’s highest peaks. With numerous treks available hikers and climbers can opt for one lasting from a few hours to a couple of months. While the Himalayas are one of the major attractions of Nepal, there is plenty to do even if you’re not a mountain climber like visiting the International Mountain Museum and the stunning lakes and water sports at Phewa, Begnas and Rupa. One of the three sacred cities of the Katmandu Valley apart from Katmandu, Bhaktapur. If timed well one can arrive in April to celebrate the Bisket Jatra, or Nepali New Year, highly rated as one of the must-have experiences in Nepal by close friends. Visit Durbar Square and walk among ancient Buddhist and Hindu religious sites. Don’t forget to interact with the native kind and hospitable Newa people. Patan is well known throughout the world for its stone and wood carvings. Purchasing art is easy and one can buy handicrafts like metalwork, wood carvings, paintings and carpets made by native artisans. The outskirts of Patan has a Tibetan refugee camp, set up to help refugees become independent and self-supporting where tourists can watch traditional carpets being made from beginning to end. Nepal’s first national park which became a World Heritage site in 1984. A must-see for animal lovers and home to more than 700 species of wildlife. One can view rhinos, tigers and other tropical lowland animals. Take an elephant safari through the jungle to meet the local Tharu folk, one of the oldest and largest ethnic groups of Nepal. Even if, just by my eyes than my limbs. After watching the movie Sherpa I’ve found a new found respect for the locals that ascend and descend the peak with the climbers who summit. One of the most well-known attractions in Nepal! This 29,000 feet high peak is not for people weak at heart. Only capable and experienced climbers should attempt to reach the summit but if you’re not a climber don’t worry Mt. Everest can be viewed by flying over or by driving to one of several viewpoints. Small as it may be, but this Bucket list of Nepal will make your heart sing and your soul feel spiritually rich as guaranteed by everyone who’s been there done that! 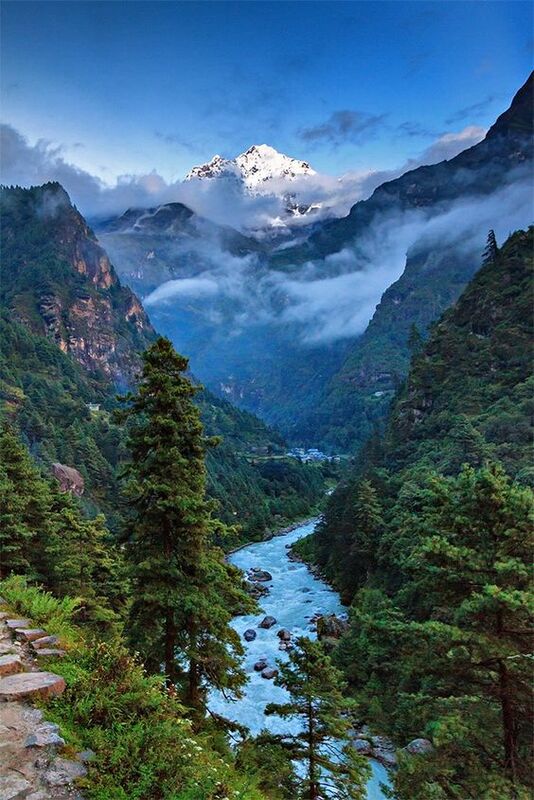 Is Nepal on your bucket list? Tell me why? This entry was posted in Adventures and tagged Anapurna, Bhaktapur, Bisket Jatra, Buddhist temples, Everest, Himalayas, Katmandu, Lumbini, Mount Everest, Mt. Everest, Nepal, Nepal Bucket List, Pokhara, SHERPA, Tharu folk, World Peace Pagoda. Bookmark the permalink. I have to be honest when i say that.. this blog came about after your trip, because it inspired me to to make that list which was somewhere in my head and hopefully check it and conquer it soon!! 🙂 Thanks Sarah! My sister in law spent some time volunteering in Nepal and absolutely loved it. It’s not massively high on my bucket list as there are other places I think I’d like to discover first, but never say never! Oh Nepal looks amazing! I had no idea it was so beautiful! It is a place I would absolutely love to visit too!. Such a visually stunning country! Sounds an amazing place, and one that would be fantastic to visit.